In the mid-24th century, Bralik moved from Ferenginar to the Karcinko mining colony on the order of her "owner", a senior engineer on the colony, with whom she helped design the plans of the colony. Although women weren't permitted to read or educate themselves, Bralik developed an interest in geology and studied the subject when she was able to in secret. 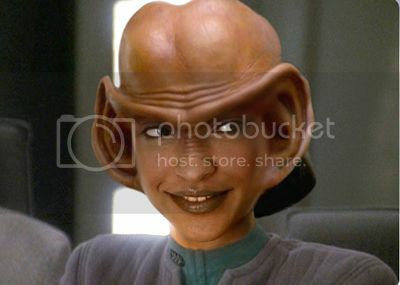 After her "master" had left her for another woman, or chava as Bralik referred to her, Bralik stayed on at the facility rather than be further humiliated by returning to Ferenginar. To further her education, she traveled to various other mining colonies and eventually moved out of the star system. It was during the 2370s that Ferengi society began to change with the rapid reforms that were put into effect by Grand Nagi Zek and Rom, that women were starting to become equal with men in Ferengi society, and they were allowed to wear clothes and make profit. Bralik saw this as a chance to further her education in geology, and enlisted in Starfleet.